TreasuryONE's Andre Botha said earlier the jump in the rand could be attributed to a couple of things - one of which was the start of the political parties election manifesto. The rand closed at R13.83 to the greenback on Monday afternoon. The day's range was R13.82 to R13.96. "We have seen the ANC launching theirs over the weekend and only time will tell what the effect of this could be. This could be the start of some volatility in the markets with every headline regarding the election being a possible market mover." Bloomberg reports that oil extended its retreat as investor appetite for risk assets shrank and uncertainty persisted over how much OPEC output will need to be cut to counter booming US shale supplies. Momentum is easing across the world’s major economies, according to a gauge the OECD uses to predict turning points. The Composite Leading Indicator is the latest sign of a synchronised slowdown in global growth, adding to recession warnings sparked by industrial figures in Germany last week and and slumping trade figures for China earlier on Monday. The indicator, which is designed to anticipate turning points six-to-nine months ahead, has been ticking down since the start of 2018 and fell again in November. The OECD singled out the US and Germany, where it said “tentative signs” of easing momentum are now confirmed. Just two weeks into 2019, the OECD economic indicator follows a run of numbers that mean growth this year could be even slower than currently anticipated. Trade-tensions with the US are showing up in data. Chinese exports slumped 4.4% in December from a year earlier, marking the worst performance in dollar terms since 2016. Imports also dropped the most since 2016, hinting at softening demand at home that could have implications for exporters to China. The numbers sent stocks lower in Europe and Asia. The Stoxx 600 Index was down almost 1% as of 12:00 Frankfurt time. OVERVIEW: Stocks dropped in Europe and Asia, with US equity futures also declining as China trade data showed a worse-than-expected slump, reigniting concerns about global growth. Treasury yields slipped and the dollar edged lower. Technology and health care companies were among the biggest decliners in the Stoxx Europe 600 Index, with futures on the Dow, Nasdaq and S&P 500 all pointing to a weaker open. In Asia, losses were most pronounced in Hong Kong after China posted the worst import and export figures since 2016. The euro was little changed, while the pound declined before Tuesday’s crucial vote on Brexit, with UK Prime Minister Theresa May appearing no closer to getting the backing she needs. 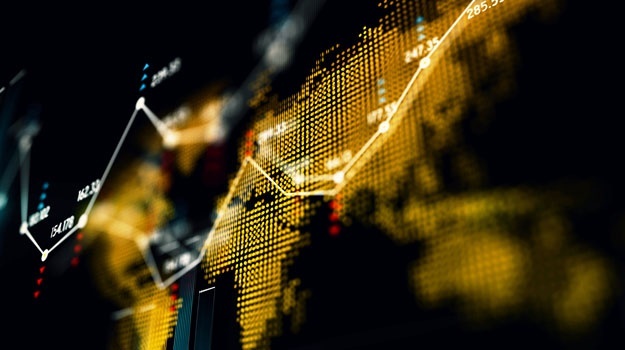 This month’s buoyancy in global equities, triggered by signs of progress in US-China trade talks and dovish commentary from Federal Reserve officials, faces a test with the Chinese data underscoring the impact of the trade spat. The next hurdles to clear will be a slew of US bank profit reports and earnings season, amid worries global growth is slowing. Also weighing on sentiment is the partial US government shutdown that’s entered its fourth week. Elsewhere, West Texas Intermediate crude hovered around $51 a barrel. Emerging market currencies and shares fell. Japan was closed for a holiday. Some of the world’s biggest banks announce earnings, including Citigroup, JPMorgan, Bank of America, Wells Fargo, Morgan Stanley and Goldman Sachs. Alcoa, Indian IT company Mindtree, Netflix, Taiwan Semiconductor, American Express and BlackRock also post results. Futures on the S&P 500 Index declined 0.7% as of 09:19 London time, the first retreat in more than a week. The Stoxx Europe 600 Index fell 0.5%, the first retreat in a week and the biggest fall in more than a week. The MSCI All-Country World Index decreased 0.2%, the first retreat in more than a week. The MSCI Emerging Market Index sank 0.9%, the biggest dip in more than a week. The Bloomberg Dollar Spot Index dipped 0.1%. The euro climbed less than 0.05% to $1.1473. The Japanese yen jumped 0.3% to 108.14 per dollar, the strongest in more than a week. The British pound declined 0.1% to $1.2831. The MSCI Emerging Markets Currency Index fell 0.2%. The yield on 10-year Treasuries dipped two basis points to 2.68%, the lowest in more than a week. Germany’s 10-year yield decreased two basis points to 0.22%, the lowest in a week. Britain’s 10-year yield decreased three basis points to 1.263%, the biggest tumble in more than a week. The spread of Italy’s 10-year bonds over Germany’s rose five basis points to 2.6641 percentage points. The launch of the ANC election manifesto at the weekend could be the start of some volatility in the local unit, says Andre Botha, senior dealer at TreasuryONE. "The jump in the rand could be attributed to a couple of things one of which is the start of the political parties election manifesto. We have seen the ANC launching theirs over the weekend and only time will tell what the effect of this could be. "This could be the start of some volatility in the markets with every headline regarding the election being a possible market mover. Another factor in the rand weakness this morning is the fact that the Turkish Lira is on the back foot after President Donald Trump stated that the US will devastate Turkey economically if it attacks a Kurdish militia in Syria. "This has caused a bit of a ripple in emerging markets and the rand has tracked the lira weaker. However, some of the central themes are still in the EM's favour with the US Fed still being dovish about rate hikes in 2018 and the optimism about the US-China trade talks still abound in the market. Meanwhile, Bianca Botes, Corporate Treasury Manager at Peregrine Treasury Solutions said it was a slow start to the week on the data front, with no local and very little international data due for release today. "For the better part of last week the rand traded mostly sideways, remaining within a range of R13.85 to R14.00, with a lack of momentum to drive the local unit in either direction. Local political parties have started releasing their manifestos in the run up to the general election due to take place in May, with polls currently indicating a lead for the ruling party. "The rand opened at R13.87/$ this morning with an expected intra-day range of R13.80 to R14.00." The rand is trading weaker this morning tracking the fall in the Euro on Friday evening and poor Chinese trade data this morning, says TreasuryONE. By 08:58, the rand was changing hands at R13.92 to the greenback. "The Pound is holding on to Friday’s gains at 1.2846 ahead of tomorrow’s Brexit parliamentary vote. Equities in the US closed marginally down on Friday and Asian stocks as well as US futures are all down this morning. "US corporate earnings releases this week are expected to be poor while the continued government shutdown continues to weigh on the market. "Ratings agencies have warned of a possible downgrade for the US if no resolution is found. Gold remains strong at $1 291.05 while Oil has slipped to $59.93". Hong Kong led a sell-off across Asian markets Monday as profit-takers moved in following a six-day rally, while traders look ahead to the release of corporate earnings. With few catalysts to drive buying, equities were ripe for selling after last week's healthy gains, with the US government shutdown - now in its fourth week and showing no sign of ending soon - instilling a sense of unease. The National Energy Regulator of SA, which sets prices and tariffs for power utility Eskom, will on Monday start a series of nationwide public hearings on what South Africans will be paying for electricity. The hearings commence on Monday in Cape Town. The energy price regulator will hear from, among others, Eskom chief financial officer Calib Cassim, a representative of the the SA Local Government Association, advisors to the mining and energy industry, and representatives from The Organisation Undoing Tax Abuse (Outa). The Zimbabwe Congress of Trade Unions, which represents most labour unions in the country, issued the call Sunday, a day after the government boosted prices of gasoline to $3.11 (roughly R43) a liter from $1.34 and diesel to $3.21 (R44.50) a liter from $1.49.